WHETHER YOU ARE MAKING A STYLISH BUSINESS SUIT OR A STRIKING CASUAL BLAZER, WE UNDERSTAND THE NEEDS OF THE MODERN MAN. 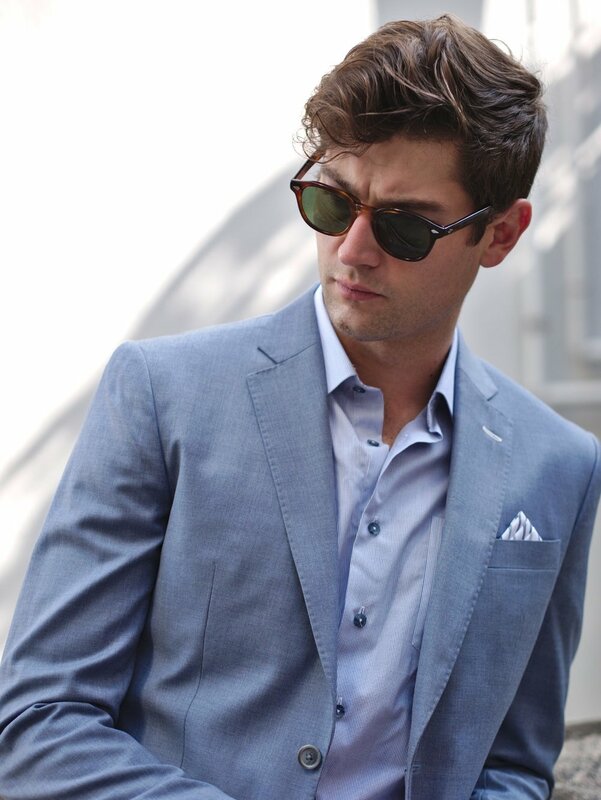 OUR SUITS ARE GENERALLY SLIM CUT, WITH MINIMAL SHOULDER PADDING AND A SLEEK SILHOUETTE. Our suits are lovingly crafted in Hong Kong, custom made to your size using the highest quality pure wool, with half-canvassed construction. Luxurious Japanese Bemberg linings provide our suits with a silky smooth feel and ultimate breathability.